A Diamond Select Toys release! The Vinimates line is shooting an arrow into hearts everywhere! 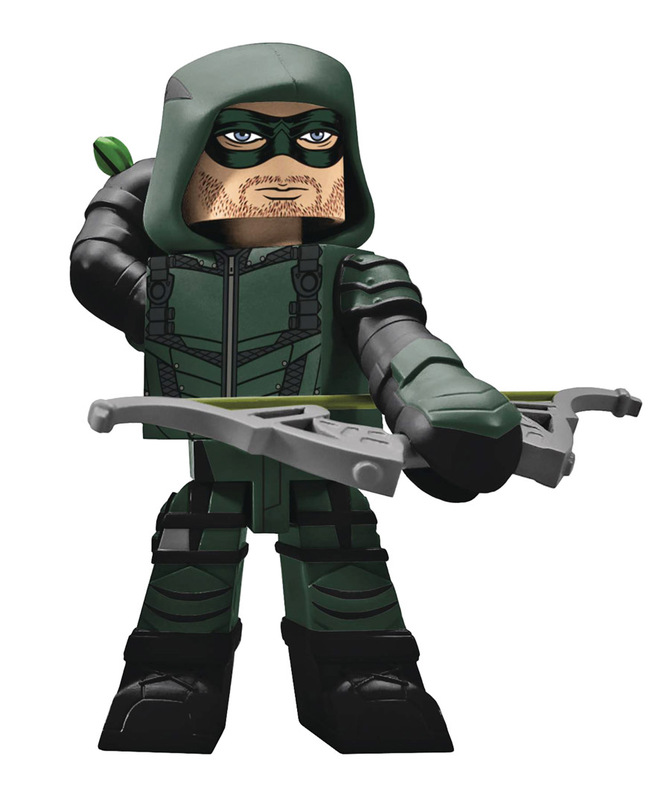 These 4-inch vinyl figures are based on the popular CW TV show Arrow, and depict three of the show's most popular characters! Sculpted in a block-figure style, Arrow, Black Canary and Deathstroke each strike battle-ready poses inspired by the show, and come packed in full-color window boxes. Also available: Vinimates from Supergirl and The Flash!